A well made movie is a carefully crafted piece of art that gives viewers a meaningful experience. However, few know the amount of work and effort that go into creating a quality film. For most students at Regent University, fall break is a time to unwind from the first half of an essay-filled, stress enabling semester. For others, however, it is the opportunity to create art with a visual medium. During the week of fall break, students partook in Regent’s endowed film production class where they were tasked with creating a film over the course of the week. This semester’s film was a romantic-comedy entitled Until Death Do Us Part. The story revolves around a man trying to have an enjoyable date with a young woman until his jealous, deceased wife, causes their evening to take an unexpected and paranormal turn. Students take up various roles in different areas, from the lighting department, to cinematography, and even directing. Each position offers them the opportunity to grow and develop their skills as a filmmaker. The director was second year masters student Nathaniel Dunn, currently studying in the directing program, and graduating in May of 2017. Dunn has a background in this area, having directing multiple theater plays, and appreciated that there was a large crew on Until Death. Updates are regularly posted on Until Death’s Facebook page. 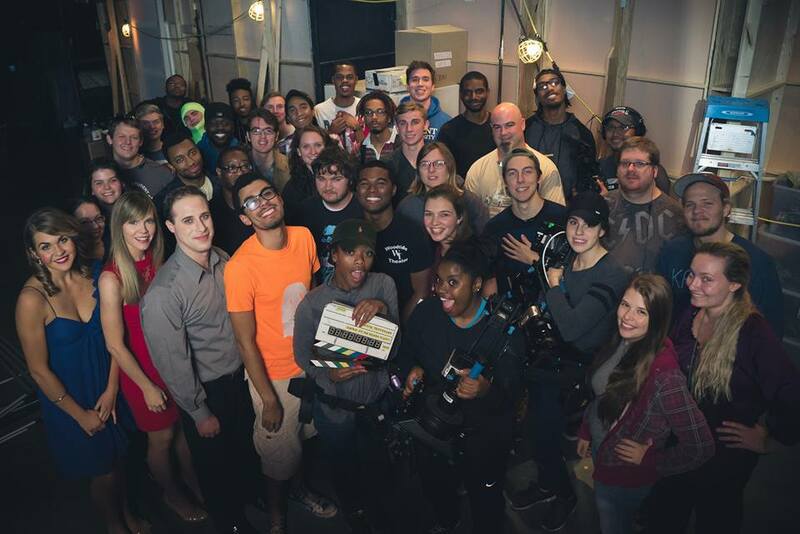 The production practicum class where this endowed film takes place is held every semester as a required course for any student enrolled in the cinema-television program, but an invitation is open to students in the film program not taking the class for them to come participate as a production assistant or any other position needed. Aren Woods is a contributor to the Daily Runner. January 30, 2018 Renée Hogan Comments Off on WHO ARE WE?